This book is a comparative study of military operations conducted my modern states between the French Revolution and World War I. 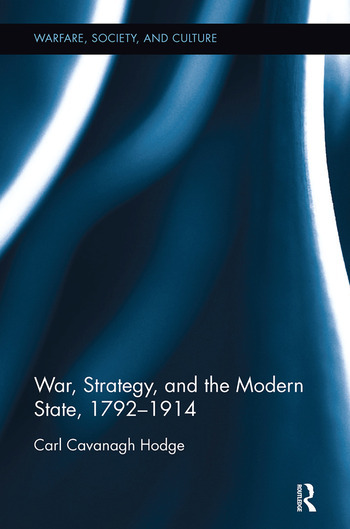 It examines the complex relationship between political purpose and strategy on the one hand, and the challenge of realizing strategic goals through military operations on the other. It argues further that following the experience of the Napoleonic Wars military strength was awarded a primary status in determining the comparative modernity of all the Great Powers; that military goals came progressively to distort a sober understanding of the national interest; that a genuinely political and diplomatic understanding of national strategy was lost; and that these developments collectively rendered the military and political catastrophe of 1914 not inevitable yet probable. Carl Cavanagh Hodge is a Professor of Political Science at the University of British Columbia-Okanagan. He is a former Senior Volkswagen Research Fellow with the American Institute of Contemporary German Studies at the Johns Hopkins University and a former NATO-EAPC fellow. He is the author or editor of nine books and numerous articles on European and American politics and history. His titles include The Age of Imperialism, 1800-1914 (Greenwood, 2008); U.S. Presidents and Foreign Policy, From 1789 to the Present (ABC-Clio, 2007); Atlanticism for a New Century: The Rise, Triumph and Decline of NATO (Prentice-Hall, 2004); The Trammels of Tradition: Social Democracy in Britain, France, and Germany (Greenwood,1994).